Becky joined Baby Gator in August 2014. She holds an Associate Degree in Elementary Education. Becky has worked with children of all ages from infancy to second grade for the past 20 years. 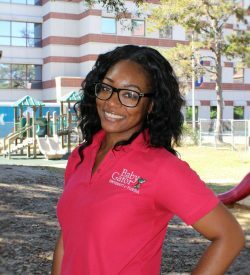 She is most passionate about helping children learn and grow in an independent environment, focusing on their social and emotional skills. Angela joined Baby Gator in March of 2012. She holds a Bachelor’s Degree in Early Childhood Education. Angela has taught children ranging from one to five-years-old for over 20 years in a preschool setting. She held the administrative role of Lead Teacher for nine years. She is passionate about fostering the development and success of young children and enjoys meeting children and their families. Angie joined Baby Gator in May 2011. She holds a Bachelors of Arts in History. 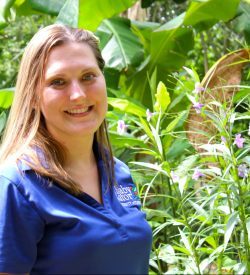 Angie has worked with ones, twos and threes as a teacher for three and a half years, as well as volunteer work with elementary aged children and high schoolers with special needs. She loves watching the children’s personalities develop and enjoys helping them process and enjoy all their new emotions and experiences. 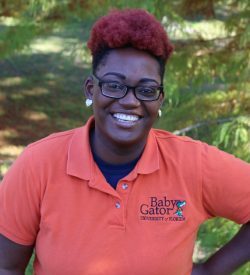 Dee has been a part of the Baby Gator staff since March 2015, where she currently works with the toddlers. 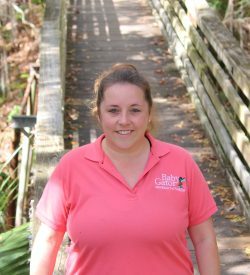 Dee has over 12 years of experience working with children, with two of those years working at Baby Gator. 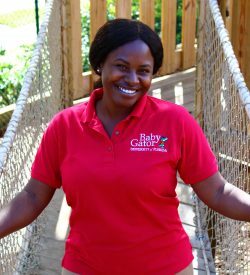 She believes Baby Gator defines the meaning of what an early childhood experience should be. 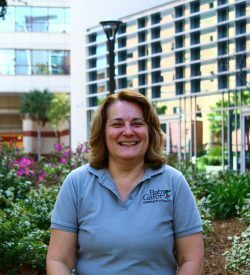 Prior to working with Baby Gator, Dee was a courier, transporting blood throughout Shands Hospital. She received her A.S. degree in Early Childhood Education from Santa Fe College. Dee has dedicated a lot of time to caring for children and says that she wouldn’t have it any other way. 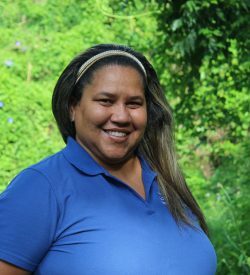 With her patience, love, and understanding of how the young mind works, Dee hopes to help set the foundation for the development and well-being of children in her classroom. 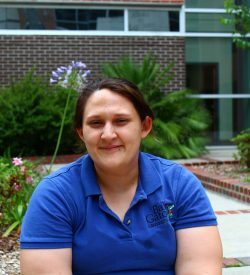 Maggie Bethea joined Baby Gator in January of 2019. She holds an Associate’s Degree in Elementary Education and is currently working on her Bachelor’s Degree in Early Childhood Education. 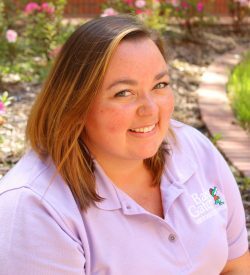 Maggie has worked with children of all ages for about 10 years through babysitting, nanny work, summer camps, and working at other childcare centers. She is passionate about cultivating social and emotional development in children from a very young age as it forms the backbone for successful development for the rest of their lives. 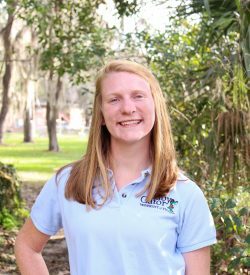 Maggie has loved children ever since she can remember and is excited for what her future holds in Early Childhood Education and at Baby Gator. 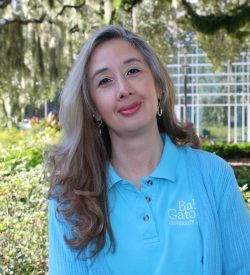 Kim Boney joined Baby Gator in August 2018. She is currently working on her A.S. degree in Early Childhood Education. Kim has worked with children for the past 7 years ranging in age from infant to 17 years old. The one thing she enjoys most about working with children is to see the pride and joy on their faces when they learn new things. Tiffany joined Baby Gator September 2017. She holds a Child Development Associate Credential. Tiffany has worked with a variety of ages in the past 4 years. She is passionate about encouraging each child to embrace their personality and creativity through art and play. With her patience, love, and understanding of how the young mind works, it is her hope to bring out each child’s greatest attributes. 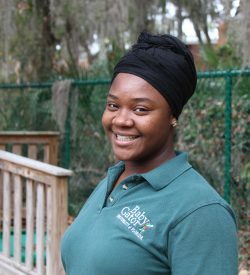 Tanasia joined Baby Gator in April 2018. 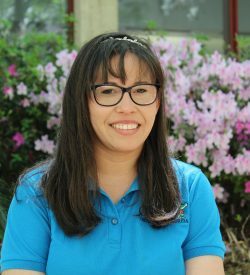 She comes to us with over two years of experience in the Early Childhood Education field and is currently working on her Associate’s degree in Early Childhood Education. The smiles that children bring melt her heart. Tanasia loves to see children’s eyes light up when they are introduced to new things. One of her favorite things to do is to run around and be goofy with the children. Latanya joined Baby Gator in August of 2011. 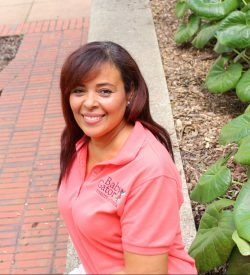 She holds an Associate’s Degree in Early Childhood Education and has a New York teacher certification. She has over 25 years of experience working in an early childhood education setting. She is passionate about helping children to develop their social and emotional skills. 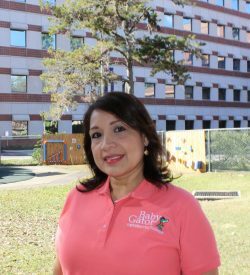 Irmary Chaparro-Morales started with Baby Gator in March 2018. She holds a Bachelor’s of Science degree in Nursing. Irmary has take care of children from birth to preschool age. For the past 5 years, she has worked with children with disabilities. She is passionate about teaching children and helping to develop their love of discovering new things. She creates a positive environment where children can learn independence, be creative, and have fun doing so. Sabrina Clifford joined Baby Gator in July 2018. She holds an Associate of Science degree and has taught children ranging from one to seven-years old for over 9 years. The past seven years she has worked as a physical education teacher for a private school for preschool age to 5th grade children. She’s inspired by children, pets, gardening, traveling and cooking. Dagmarie joined Baby Gator in October of 2014. She holds a Bachelor’s Degree in Elementary Education. 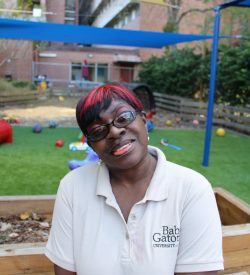 Dagmarie has worked with Preschool to 12 years-old for the past 10 years. She enjoys being a part of the children’s education and loves to help them with their development in all areas. Jordan joined Baby Gator in March 2019. She holds an Associate’s degree in Elementary Education and is working on her Bachelor’s degree in Early Childhood Education. Jordan has worked with children birth to 12 years old for five years. 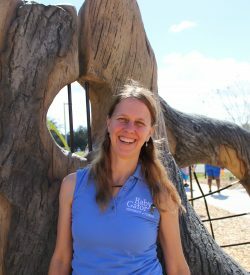 She has a passion for guiding young children as they explore and learn in the world around them. Her goal is to create a loving and supportive environment for the children in her care. 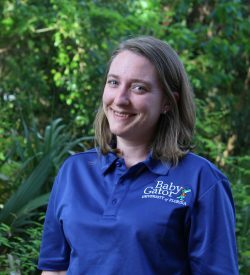 Kelsey joined Baby Gator in August 2018. She holds a Bachelor’s degree in Psychology from the University of Florida. 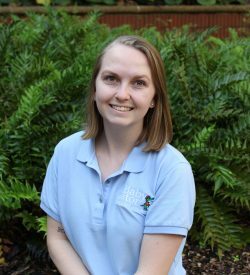 Kelsey has worked with children ages 6 months to 15 years for over 8 years, in capacitates such as a nanny, Sunday school teacher, foster care, and counseling. She is passionate about inspiring children to discover their own skills, passions, and strengths. 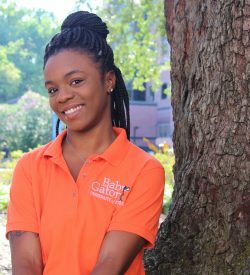 Jasmine joined Baby Gator in August 2018. She holds an Associates of Science degree in Medical Assisting. 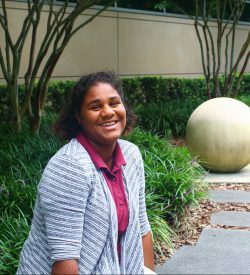 Jasmine has worked with children ranging from ages 6 weeks to 4 years old for 12 years in a child care setting. She is passionate about setting solid learning foundations and enjoys igniting children’s inner curiosity and desire to learn. 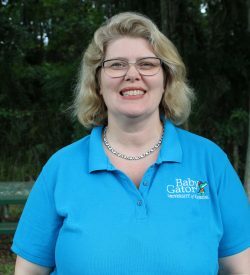 Theresa Duranty joined Baby Gator in May 2018. She holds an Associates Degree in Early Childhood Education. Theresa has worked with children ranging from infants to elementary school age for the past 15 years in an early childcare setting. She is passionate about children and helping them succeed at whatever it may be. In her free, time Theresa enjoys going to the beach and spending time with her family. Venisher joined Baby Gator in February 2016. She is currently working on a CDA. Venisher has worked with children from six months to three years old for over six years. She is passionate about expanding the learning of young children’s minds. She enjoys nature walks, reading, and spending time with family. What inspires her is students excited about school and learning from the environment around them. 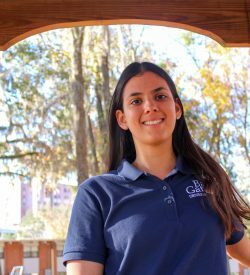 Maria Fernanda joined Baby Gator in November 2017. She is working on finishing her Bachelor’s Degree in Early Childhood Education. 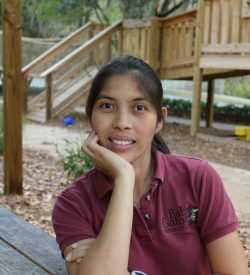 Maria has worked with 2 and 3 year olds as a full-time teacher in a preschool setting for the last two years. 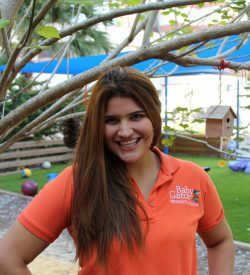 She loves teaching children new experiences in a fun and educational manner and enjoys hearing their contagious laughs, Maria also finds joy in being a reliable person that children can trust. Katie joined Baby Gator in June 2015. She holds an Associate of Science in Elementary Education and a Bachelor’s Degree in Early Childhood Education. Katie has worked with one to four year olds at A Child’s Academy and at Baby Gator. She is passionate about watching children learn and grow daily and seeing their progressions throughout the year. 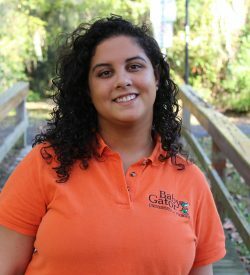 Ari joined Baby Gator in September of 2011 as a full time teacher. She holds a Bachelor of Science Degree in Telecommunications from the University of Florida. 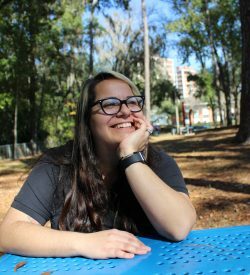 As a undergraduate student at UF, Ari volunteered at Baby Gator and later became a substitute. 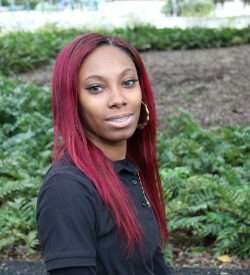 Over the years, she has gained experience taking care of young children and providing a loving and learning environment. Ari Brings her love of music and dancing into the classroom. She also enjoys integrating Spanish and other cultures into the lesson plans. In her spare time, she enjoys listening to music, creative photography, boating and spending time with her family and friends. Lisa joined Baby Gator in October 2009. She holds a CDEA degree. 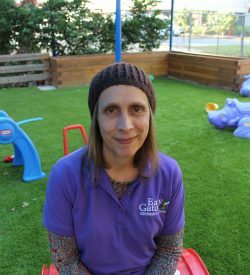 Lisa has worked with infants and one year-olds for over 15 years. She is passionate about the children learning to talk, use silverware, and become independent. 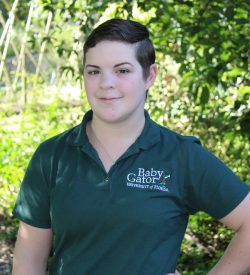 Hope joined Baby Gator in August 2017 with a Bachelor of Arts in Psychology from Florida International University. She has over 20 years of experience in childcare, teaching music to children between the ages of 3 and 12 and teaching Early Childhood Education to children between 2 and 4 years old. Hope enjoys creating Science, Technology, Engineering, and Math centers to engage the natural curiosity in science and nature that appears evident in preschoolers. Debbie joined Baby Gator in July of 2012. She holds a Bachelor’s Degree in Elementary Education. 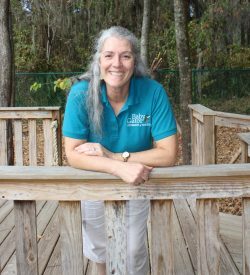 Debbie has worked with children infants through school age for over 25 years as a teacher, summer camp counselor, a TSS (therapeutic staff) art teacher, and as a after school counselor. She is passionate about the childhood years and feels that the learning that occurs during this time should be a positive and fun experience. Lily joined Baby Gator in the December of 2014. She hold B.A., B.Ed., M.A., degrees and pursuing M.Ed. Lily has worked with Elementary and Middle School children for over 12 years, as a lead and as subject teacher. She is very passionate about building a positive attitude in her students and inspire them to become life-long learners. Todd joined Baby Gator in March of 2015. He holds a Bachelor’s Degree in Justice Studies and Early Childhood Education. 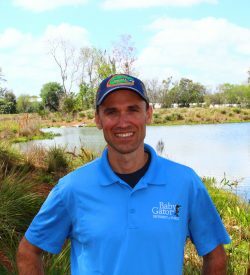 Todd has worked with children aging from four to five-years-old for 8 years as an environmental educator, park ranger, and substitute teacher. He is passionate about allowing children to be creative, think for themselves, and introducing children to the outdoor environment and science. Cherish joined Baby Gator in may 2018. She is currently working towards completing her Associates of Arts degree in Elementary Education. Cherish has worked with children from infants up to 8 years of age. She is passionate about teaching and helping children mature. Nothing makes her happier than knowing she is making a positive impact in a child’s life. 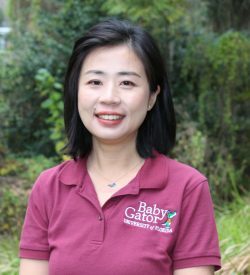 Jie joined Baby Gator in July 2018. She holds a Bachelor’s degree of Arts in English Literature. Jie has worked with children from infancy to first grade for 3 years. She has learned oil and acrylic painting for 2 years and is passionate about sharing her love of art with children. She thinks teachers need to be able to build trusting relationships with children to create a safe and positive learning environment. 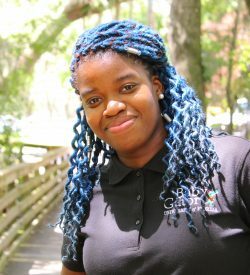 Vicaylah Johnson (Caylah) joined Baby Gator in January 2017. Caylah has worked with babies to 5-year-olds for about 3 years as a classroom teacher. She is currently working toward a career in the air force. During her free time, she enjoys spending time with her son at home and around the community. She is passionate about giving young children a great head start in their early education and can always be found with a smile on her face. Julie joined Baby Gator in December of 2012. She holds a Bachelor’s Degree in Professional Studies with a concentration in Psychology and a CDA. Julie has over 25 years of experience working with many age groups from infants through adolescence, and with adults as a parent educator in classroom and administrative settings. She is passionate about helping children develop early literacy skills and supporting parents in their role as their child’s first teacher. Adrian Klempert joined the Baby Gator Team on August 7th, 2017. She holds an Associate of Arts degree in Sociology, and a Bachelor’s degree in Early Childhood Education. Her passion to help young children establish a foundation for learning that will last a lifetime. Adrian has worked with children, ranging from two weeks to nine years of age, for over 8 years. When it comes to children, she is inspired by their imagination and creative thinking. During her free time, she enjoys spending time with family and gardening. Jamie joined Baby Gator in December 2018. She holds an Associate Degree in psychology. 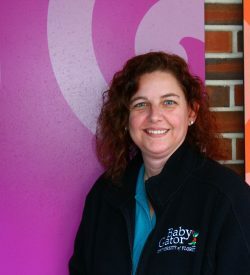 Jamie has worked with toddlers for four years, and has worked with preschool children of all age groups for six years. 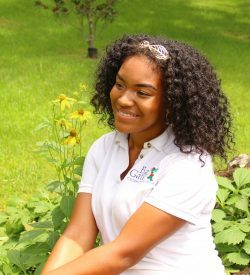 She is most passionate about helping young children blossom into the distinctive individuals that they are, as well as allowing them to each positively express themselves and share their feelings in their own unique way. Abigaile joined Baby Gator in January 2019. She is currently working towards a Bachelor’s in Early Childhood Education. Abigaile has worked with children from infancy to first grade for over 3 years. In her free time she loves spending time with her daughter. Abigaile has demonstrated excellent skills while working with children in many ways, including her ability to engage with the children and maintain a high level of professionalism. 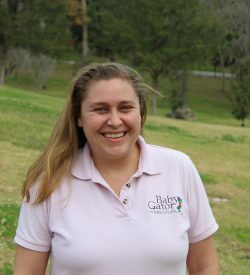 Jennifer joined Baby Gator in January 2018. She holds a Bachelor’s degree in Early Childhood Education from Santa Fe College. 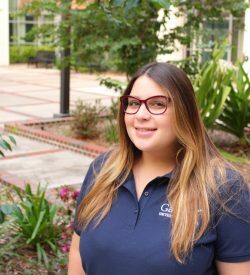 Before becoming a teacher, Jenn worked as a substitute teacher at Baby Gator in every class-from infants to VPK. 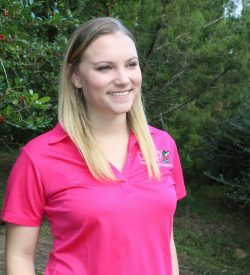 Prior to joining the Baby Gator team, most of her experience comes from volunteering for many years in VPK and Pre-K ESE in Marion County Public Schools. Jennifer loves creating a positive environment where children feel comfortable and providing children with a love for school and learning. Her favorite thing is giving children the foundation they need to continue to grow into the little person they are meant to become. 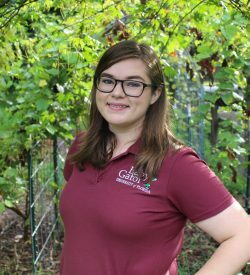 Lauren joined Baby Gator in August 2017 after spending over 10 years working with children ages 6 weeks to 12 years old as a substitute teacher, a camp counselor, and a child care worker. This career allows Lauren to help children develop new skills and use music to do so. She is looking forward to completing her degree in Early Childhood Education. Irma joined Baby Gator in May 2017. She holds a CDA and is now going to start on her Associates degree in Early Childhood Education. She has worked with children ranging from birth to 5 years old, children with special needs and as a homeschool teacher for about 10 years. She loves working with children because they are enthusiastic, loving and bring something new to her everyday. In the end, the children are the ones who inspire her. 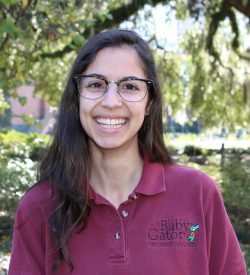 Fariha joined Baby Gator in August 2016. She is an AMS and NCME certified Montessori teacher and is in the process of continuing her education. 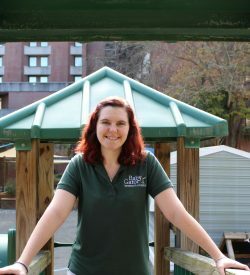 She has worked with children aged 3 to 6 in Montessori schools in NJ and has been teaching overall for the last 11 years. Fariha is passionate about teaching because she believes it is her calling. She believes in the children’s individual potential and believes that children see the world through a lens that adults cannot. She believes that every child’s truth is their reality and she loves that she gets to be a part of that reality as an educator. Katie joined Baby Gator in February 2015. She holds a CDA. Katie has worked with infants through 12 year-olds for over five years as a teacher. She enjoys working with children of all ages and their families. 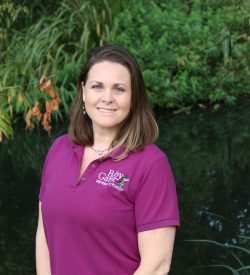 Katie loves to help build a strong foundation within each child with her fun and interactive teaching style to encourage the children to have a lifetime love of learning. Brilyn joined Baby Gator as a full time teacher in October 2018. 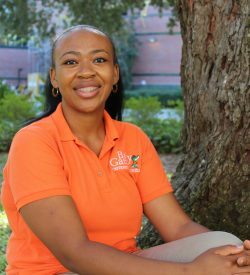 Before becoming a teacher, she worked as a substitute teacher with us for 2 years while attending UF where she earned a Bachelor’s degree in Health Science. Brilyn has worked with children ranging from infants to elementary for 5 years in a preschool and public-school setting. She is passionate about making learning more interesting, exciting, and important with a little work and imagination. She enjoys crafting, gardening, and spending time with her dog. 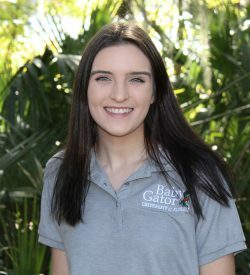 Katie Presley joined Baby gator in August 2018. She holds a Bachelor’s of Science in Early Childhood Education. Katie has worked with children from infants to preschool for 4 years in a child care center and as a dance studio teaching ballet and tap. She loves watching children grow and exceed their own expectations for themselves. Roselyn joined Baby Gator April 2016. She has had a passion for cooking since she was six years old. Professionally, she has catering since 2011. 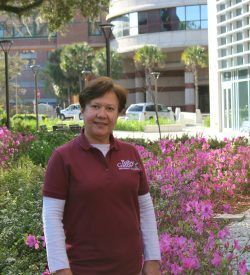 Roselyn enjoys cooking because she gets to experiment with spices and she loves exploring different cultures through their cuisine. She also loves when the children try new foods and learn to like the different things they try. Claudia joined Baby Gator in May of 2017. She holds a Bachelor’s degree in law from Columbia. She has worked with children ranging from birth to 3 years old in a private and public school setting. Claudia worked for almost 20 years as a lawyer but her true passion has always been working with young children. She believes that love and patience are the best qualities to have when you are with children, for that reason Claudia enjoys every single moment at work and seeing a child smile. Cathy joined Baby Gator in May of 2013. She holds an Associate of Science Degree in Early Childhood Education, is working towards a Bachelor’s, and has a Director’s Credential. Cathy has worked with infants to six year-olds for most of the last 20 years as a teacher or nanny. She loves sparking and encouraging interests in science but finds it most rewarding to help children learn about their emotions and how to appropriately deal with them. In her spare time she can be found at Disney World with her husband or feeding her space/astronaut passion. Yecenia joined Baby Gator in September 2013. She has a BS in Industrial Engineering and a Child Development Associate (CDA) National Credential. 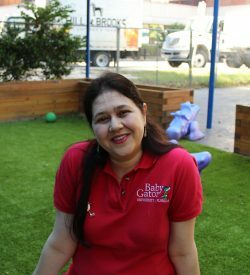 She started working with children four and five years old as a VPK teacher since 2004. Yecenia is fluent in Spanish and she likes to incorporate the language into her lessons. Yecenia feels a strong commitment to her students, preparing them for all the challenges that they will have to face in the future. Her strongest motivation is to learn and remain updated about the culture, habits, and the educational system in USA. Anne joined Baby Gator in May of 2000. She holds a B.A. in Child Development. 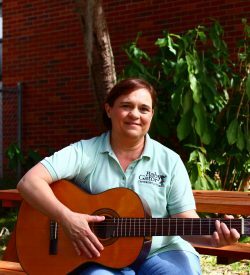 Anne has worked with children ages six weeks to 11 years-old for 33 years as a music teacher and Prekindergarten teacher. Anne is passionate about sharing her love of music and literacy with children and helping them to develop their own styles of creative expression. Rene joined Baby Gator in September of 2004. She has an AA degree and a CDA .She has worked for more than 25 years with children as a teacher and preschool director. She likes watching children learn all about the world around them. She believes in active learning. She thinks we should keep creativity in the classroom such as yoga, dance, art, music and play. She enjoys finding out what makes kids happy and embraces learning at school. 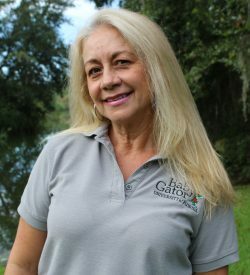 Helen Santos joined Baby Gator in July of 2018. She has seven years of experience in the early childhood field. She is currently working towards her Child Development Associate Credential. She is passionate about art, music, the outdoors, and making positive change in each classroom and the world. Her favorite thing about the profession is being able to see firsthand the excitement in children’s eyes when they make new discoveries. Her driving factor every day is the pure joy and honesty that the children portray. This is why it is her goal to make the world a positive place for the next generation. Lois joined Baby Gator in March 2017. She holds a CDA and has taught toddlers for three years. She is inspired by fun and nerdiness. In the classroom, Lois enjoys doing sensory and science projects, the messier the better. This fall she is going back to Santa Fe College to finish her A.S. in early childhood education. 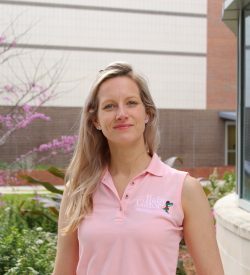 Mary joined Baby Gator in August of 2018 and holds a Bachelor’s degree in Psychology. She has worked with children from ages six weeks to five years for seven years. This experience has come from both being a preschool teacher as well as from working as a nanny. Mary has a true passion for teaching and is continuously inspired by the children in her care. 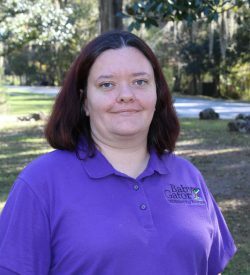 Maris Smith joined Baby Gator in August 2015. Maris has worked with children from infants to 5 year olds and currently works with the younger one year olds as a teacher. She loves watching them grow and enjoys developing them into unique individuals. Additionally, Maris enjoys witnessing the interaction of the children with their diverse backgrounds and their involvement with their classmates. Maris came to the United States from Cebu Philippines in 2008. She presently is working on her National certificate. 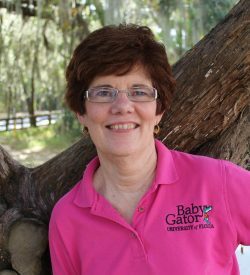 As a mom of a Baby Gator graduate, she feels her child was greatly influenced by the wonderful atmosphere of Baby Gator. Lyric joined Baby Gator in February 2017. She holds a CDA and has worked with children of all ages for seven years as a teacher and volunteer. She is passionate about helping children learn and grow to their full capacity. She believes it’s a great feeling to educate their young minds to know that what you do has a big impact on their life. Savannah joined Baby Gator in June 2015. She holds a Bachelor’s degree in Elementary Education and a Master’s in Special Education. 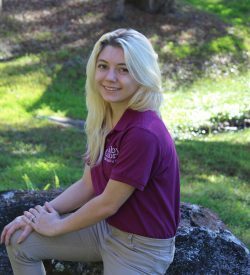 Savannah has worked with infants through fifth graders over the past five years through various internships and through being a substitute at Baby Gator. She loves the challenge of developing new ways to inspire a love of learning and emotional growth in children. Shy joined Baby Gator in July 2014. She holds an Associate’s Degree in Early Childhood Education and is currently pursuing a Bachelor’s degree in the same field. She has worked with ages birth through ten-year-olds for four years as a classroom teacher, afterschool aide, and babysitter. She brings lots of fun, laughter and creative ideas to her Growing Gator classroom. She is passionate about teaching and providing the best tools needed for her young thinkers to strive for greatness. She enjoys children’s vibrant personalities and innocent spirits. In her spare time, Shy enjoys reading books by her favorite author (Dr. Seuss) to her two year old son. 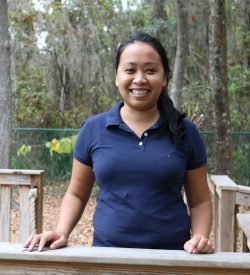 Anan Vazquez joined Baby Gator in November of 2016 as a substitute teacher, and then joined us full time in the beginning of 2018. Currently, she holds an Associates of Arts degree, and is pursuing a Bachelors of Early Childhood Education. She has 3 years of experience working with children between the ages of 3 months to 12 years of age. Her drive for this profession comes from seeing young children grown into who they are, and witnessing their personalities develop. Tina Vilca joined Baby Gator in October 2014. She holds a Bachelor of Science degree in Early Childhood Education. 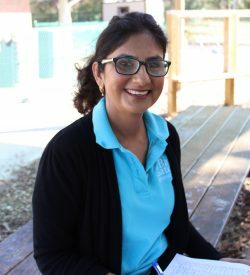 Tina has worked with toddlers to five year-olds for more than 10 years in a classroom. 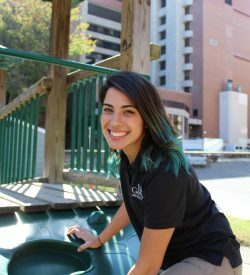 She loves being part of children’s growth and development as they move through different stages and is passionate about making learning the most fun experience. Vanessa joined Baby Gator in July 2015. She is close to completing a Bachelor’s Degree in Early Childhood Education. Vanessa has worked with children from 1 to 4 years of age as a teacher. She is inspired by the children’s imagination and their power to teach her as much as she teaches them. Sharon joined Baby Gator in June 2015. 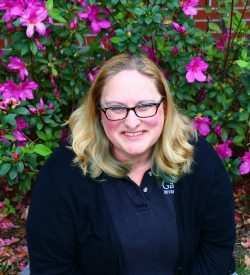 She holds an undergraduate degree in Elementary Education and a graduate degree in Teaching and Curriculum from Penn State University. Sharon has worked with children from infant – high school seniors for more than 20 years. She likes to partner with parents in providing a great foundation for the children with an emphasis on supporting children’s motivation to learn and helping them develop positive attitudes towards learning. 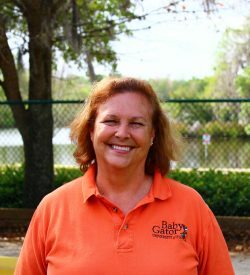 Karen Wilson joined Baby Gator in February 2015. She holds a Master’s Degree in Literacy and Bachelor’s Degree in Child Development/Education. She has 25 years of experience teaching, mostly in early elementary education. Karen enjoys working with children because they are so open to learning almost anything! She hopes to provide a good base for their future and encourage them to be inquisitive about all things. LaQuanda joined Baby Gator in October 2014. 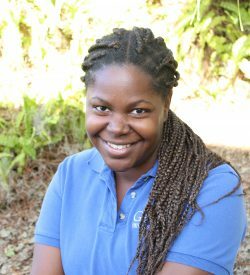 LaQuanda has worked with VPK aged children for 12 years. She is passionate about inspiring children to be the best they can be. She loves seeing the children master concepts and enjoys when parents are surprised by what their children can do. Madelyn joined Baby Gator in November of 2012. She holds a Bachelor’s Degree in Elementary Education and a Master’s Degree in Education. She has worked with preschool children for the past 16 years as a teacher. She loves working with children of all ages and especially enjoys discovering new ideas to help them grow and reach their potential.